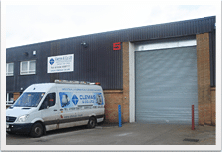 Based here in Tewkesbury in Gloucestershire, since the company began in 1988, Clemas & Company Ltd has become one of the most successful industrial cleaning machine distributors in the UK today. Over the years we have gained valuable experience and expertise in all areas of the industry. The business has been family run since 1988, which means that the focus on customer service is very important to us. Our success is mainly to do with our business philosophy, which is shared by all of the people within our company; to be pro-active on behalf of all the markets that we serve. This is coupled with a commitment to provide our customers with excellent service from initial inquiry right through to our excellent after sales service. We are set apart from any other company, as we can solve any cleaning problem you may have and why we are number one with all of our customers – because we believe it’s not just about cleaning machines – it’s about people! As an independent company we are not tied to any one supplier and therefore rather than matching the machine to you we can match you to the machine. 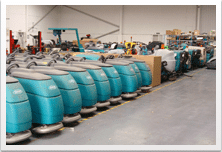 We are able to supply machines from any manufacturer to ensure that the equipment is exactly right for you. We pride ourselves on being friendly and helpful, we will solve any problem you may have with your cleaning machine/s as efficiently as possible – and above all we will keep in touch and give you progress reports on any work being carried out. We are always contactable – we know the importance of that personal touch. Our head office, based in Tewkesbury, is less than a mile off the M5, Junction 9. Being this close to the motorway network allows us to serve a very wide area, giving us quick access to; Birmingham, Bristol, Gloucestershire, Herefordshire, Oxfordshire, Staffordshire, Warwickshire, Worcestershire, North Wiltshire, West Midlands and Nottinghamshire. The M50 being less than 5 miles away, also gives us swift access into Gwent and further into Wales. We also offer service backup, either through ourselves or through our qualified and certified service agents. To view more information on areas we cover please click here.